Saw this over on Tested.com and there are a lot of interesting things about this project. It’s that last item that is so interesting to me. Here’s a chassis that’s much larger than what I intend to build, and relying on a much larger, heavier motor and it’s coming in near my weight targets for the Streetliner. It’s a fascinating project that has me thinking my weight goals might actually be attainable. That low weight plus streamlined aerodynamics ought to mean some terrific mpg numbers. Then again, I’m only shooting for 65 mpg. Should I be more ambitious? With the Streetliner design more or less finalized and more and more of the necessary skills at least acquired in a basic working sense, I’m hoping to start work in earnest sometime next fall. Before that happens, I’ll publish a fully revised design, criteria and will likely reach out for sponsorship. Stay tuned. This just popped up in my RSS feed. 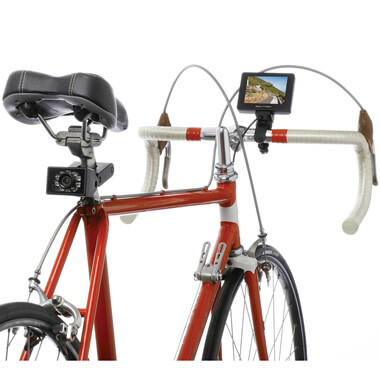 It’s an inexpensive, lightweight rearview camera system designed for use on bicycles. I could see this system finding its way onto motorcycles or even ATVs. At just $180, that’s pretty accessible for the Streetliner. I’d like to run at least a rearview camera, if not side view cameras as well to replace traditional rear-view mirrors. A system like this could remove all need for a rear window and help keep the outer aerodynamics nice and slippery. 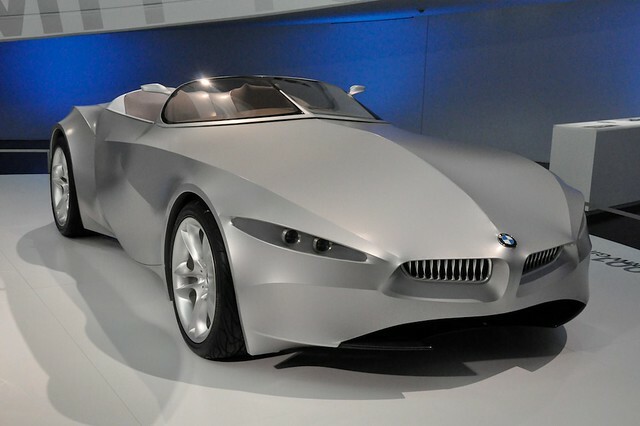 One of the last things Chris Bangle designed at BMW before he retired was the car you see above. It was a concept for a modular vehicle with a flexible skin that would literally change shape based on what you were using the car for. It’s trunk could change size and shape, and it could hunker down aerodynamically when it was time to go fast. While obviously just a thought experiment, the flexible skin has me thinking about how to surface the Streetliner. Up to now, I’ve been planning to use foam and fiberglass to create the outer aerodynamic shell. However, looking at this concept and also remembering some fabric-shelled velomobiles I’ve seen online, the idea of using a more flexible material as an outer shell has a lot of appeal. Firstly, it would greatly simplify construction. Since I’m not actually intending to mass-produce this vehicle, there’d be little point in investing the time or expense in creating a mold for a fiberglass body. Then there’s the added complexity of creating all the mounting points that join that body to the underlying chassis. Then there’s the added hassle of fabricating all the access panels and such needed to access key mechanicals under the body. I shouldn’t have to take the whole nose apart just to top off the radiator, for example. Furthermore, creating a fiberglass shell of adequate thickness so as to be good and sturdy would mean adding a not insignificant amount of weight to the vehicle. Instead, if I were to build a series of essentially ribs over top of the chassis and safety cage, I could wrap the body in some sort of flexible skin. There are a number of durable thermoplastics I could use that would be resistant to weather, stones, bugs an the like out on the road, yet also be heat shrinkable and easy to patch and paint. Hell, you could use model airplane covering. The cloth-style covering is durable, paintable and very lightweight. Access panels could actually be pre-fabricated in framing, rather than having to be cut out of a hard shell. If designed correctly, the whole look would have a great antique aircraft look to it — like dope shrunk canvas over wooden ribs, spars and bulkheads. Fundamentally, air doesn’t really care what a shape is made from. It just needs something to push against. 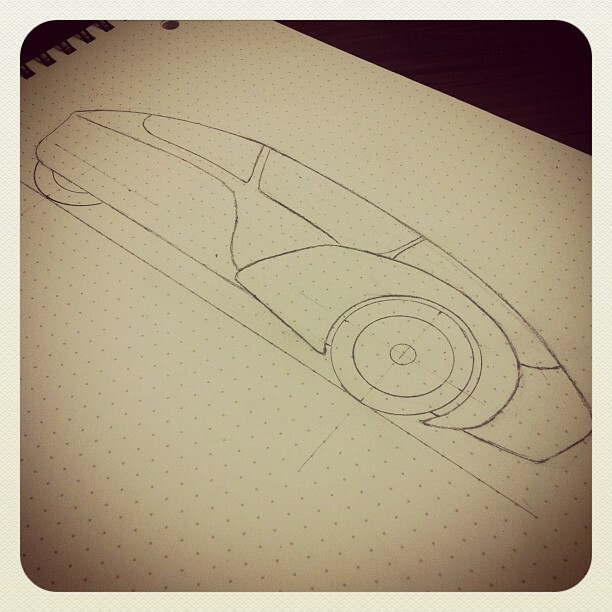 Furthermore, an imperfect shape can still be very aerodynamic if it’s smooth enough. Further still, every pound of weight shed from the Streetliner is a pound I don’t have to push through the oncoming air. Additionally, I anticipate that building in this method would cost less, take less time, require fewer specialized tools and actually give me a much greater amount of flexibility to change the body shape as needed. Even the wheel pants could be made using this method — likely lessening unsprung weight and greatly simplifying installation. Anybody out there know of other examples of a flexible vehicle skin? I was rifling through my Flickr last night and came across a collection of photos I took during a visit to the EAA museum in Oshkosh, WI earlier this year. I’ve been a huge fan of experimental aircraft since my teens when I did a lot of radio-controlled model aircraft building and flying. The entire concept of experimental aircraft is inspiring because it takes the overwhelmingly cost-prohibitive world of civil aviation and puts it within the reach of the clever and mechanically handy. It makes an item (a small airplane) cost as little as a decent sports car instead of a small house. What’s more, these kit-built craft outperform their factory-built cousins in speed, economy and aerobatic performance. This has me thinking. Why hasn’t this happened with cars? I know there’s a vibrant kit car community, but the majority of their time seems spent building Shelby Cobra replicas or other poor man’s super cars. Why isn’t there a kit car equivalent to the LongEZ? Where is that simple, economic, interesting vehicle that almost anybody could screw together and pilot? Maybe the Streetliner is that vehicle. Maybe this project, and others like it, can spur a small revolution in transportation where instead of big, heavy boxes of steel, some of us zip around in lightweight composite vehicles that get us back and forth to work. I like the sound of that. Who’s with me? So here’s a preliminary components list of everything each assembly is going to need. Enjoy.